According to the National Institutes of Health, every year in the U.S., around 570,000people die due to drug use. In particular, the Centers for Disease Control and Prevention says "deaths involving prescription opioids have, shockingly, quadrupled in the last 18 years." What makes these startling statistics even scarier is how innocently drug addiction can start. Opioid addiction, for instance, might begin harmlessly in your doctor's office, where they prescribe you medicine meant to make you life better, and easier to manage if suffering from chronic to acute pain. Unfortunately, proper prescription medication usage can turn into an opioid addiction. After harsher restrictions were created by the Drug Enforcement Agency (DEA) doctors began to abruptly end patients pain management treatments, indirectly forcing them to buy illicit drugs, such as heroin or non-prescribed opiates, so they wouldn't go through withdrawals. As individuals with free will, we are able to make choices that either make our lives better or worse; so many argue the addict is to blame for a potential overdose that leads to their death or worsening health conditions. But, according to the Substance Abuse and Mental Health Services Administration (SAMHSA), addiction is not a question of free-will versus poor choices; but rather a disease recognized in the DSM 5 (a set of guidelines psychiatrists use to diagnose mental health issues) and the Federal Government. Over the past decade, government entities have decided to treat this issue as a criminal problem, rather than a health crisis. Because of this, incarcerations have skyrocketed over the past decade. Just recently are law enforcement officials realizing that simply arresting addicts is not the solution. The CDC says the opioid epidemic in America needs to be treated as a public health crisis rather than a criminal public safety concern. By providing substance abuse treatment as an option, rather than jail time, drug related crimes will go down, along with the recidivism rate among incarcerated addicts. It's probably safe to say most of us don't intend to become addicted to prescription drugs. So, who's responsible for overdose deaths, at the end of the day? If an individual experiences opioid addiction or an overdose from legally prescribed medication, it might be possible to file a class action lawsuit against the drug manufacturer, or possibly even the doctor who initially prescribed them. It may seem impossible to believe that a person who has sworn to uphold the Hippocratic Oath, could be considered at fault when it comes to an overdose fatality; but here is when reality sets in. Research has found that most doctors — assuming they're not pain specialists — don't know how to properly prescribe the correct dosage of an opiate pain killer. Furthermore, they may prescribe these drugs for longer than a patient really needs them. In some cases, the patient shouldn't even be taking these medications; especially when non-narcotic and non-addictive substitutes can be used. If these situations end badly, the medical provider can be held responsible. In recent months, many lawsuits have been filed by both local and state governments, after a patient found themselves in trouble with opioids. Sadly enough, the person who it directly impacted, the addict, is usually not able to file a civil suit because of subsequently dying due to an overdose. But family members have been able to make cases of "wrongful death suits" against doctors and pharmaceutical companies for over prescribing or neglecting the medical care of the addict. The punishment for medical professionals could be severe. Take, for instance, the Los Angeles doctor who was sentenced to 30 years to life in prison in February of 2016, after being convicted of murder due to prescribing opioids to patients who overdosed and died. This was the first case of its kind in the United States, and the situation has only gotten worse. In the past some government entities have tried to stifle the rapid rate of opioid overdoses in the U.S. In 2011, the U.S. Drug Enforcement Administration (DEA) took action against 88 doctors; by 2016, that number was up to 479. Most notably was Dr. Conrad Murray—physician to the late music icon and legend Michael Jackson. Murray was convicted by a jury of his peers in 2011 for overprescribing Jackson with lethal amounts of opiates, as well as other pharmaceuticals. He was sentenced to four-years in a California Prison. Many advocates are saying, due to lack of oversight, Murray was able to legally prescribe lethal amounts of drugs to Jackson. After Murray was sentenced to prison, Murray had his medical license suspended in California and Texas, after the criminal conviction. Doctors, along with drug manufacturers, distributors, and pharmacies have a legal responsibility, under federal law, to make sure legally prescribed narcotics don't end up being abused. 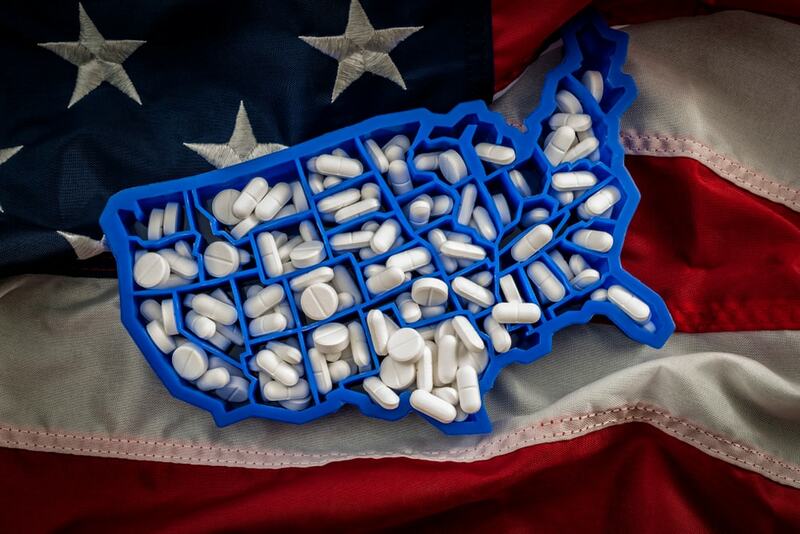 In many states, new legislation is underway to hold physicians legally responsible for helping patients who have become addicted to their prescribed medication, safely taper off their medications, or help the patient find a treatment center for drug and alcohol abuse. While many doctors do prescribe drugs safely, and take prescription drug abuse very seriously, there are times when a lack of knowledge, on behalf of the physician, results in negative impacts on the patient. Moreover, many addicts say they are afraid to tell their doctor they have abused their medications, or they have become physically dependent on it. Patients familiar with prescription drug abuse say they failed to tell their prescribing physician about their dependence because they feared the potential backlash from the medical provider. It is now becoming routine for medical students to undergo training that teaches these future doctors how to detect drug seeking behavior, as well as how to properly help a patient who has become addicted. It is still not a requirement for any medical professional who has the ability to prescribe medications, to take courses on substance abuse treatment and prevention. With the nation's attention turned towards combating prescription drug abuse, specifically the opioid epidemic, people from all walks of life are joining the movement to end preventable deaths due to prescription and illicit drug overdoses. From the White House, to Nevada's State Capitol, legislation is underway to mandate that pharmaceutical companies, doctors and drug dealers, can be held both criminally and civilly responsible for their actions. President Trump set aside $13 billion to help combat the opioid crisis that is ravaging thousands of people across the U.S. This money came from the budget deal passed by congress back in February. The money the President set aside is to help fund research on how to best tackle this deadly crisis facing Americans, as well as dispense necessary resources to first responders. If you or a loved one is suffering from an addiction to opiates, please contact SAMHSA's National Helpline at 1-800-662-HELP (4357). This is a free, confidential hotline that is open 24-7, and provides resources for individuals and family members suffering from addiction. Operators provide lifesaving information, such as what treatment centers are federally funded or which detox will take your insurance. However, in life threatening situations, always call 9-1-1. Many times simple conversations can be the catalyst that sparks change and progress in this nation. In 2016 I had the honor of producing an interview segment for KUSI News in San Diego, CA. This segment centers around two doctors, a recovering heroin addict, and a news anchor, who discuss the harsh realities surrounding the deadly opioid epidemic. In this 30 minute segment, these four individuals talk about possible solutions to help stifle this crisis, how it has impacted them personally or professionally, as well as the multiple ways in which people can become more educated on this issue.